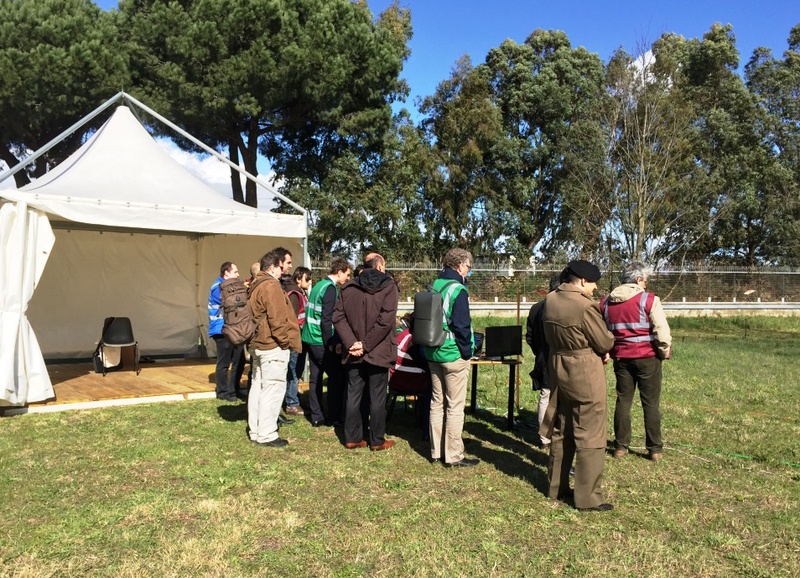 Between 2nd and 4th of March at the Finmeccanica (Selex-ES) premises in Naples, Italy D-BOX project organized its Final Demonstration and 3rd Stakeholder Workshop of Toolbox v2. 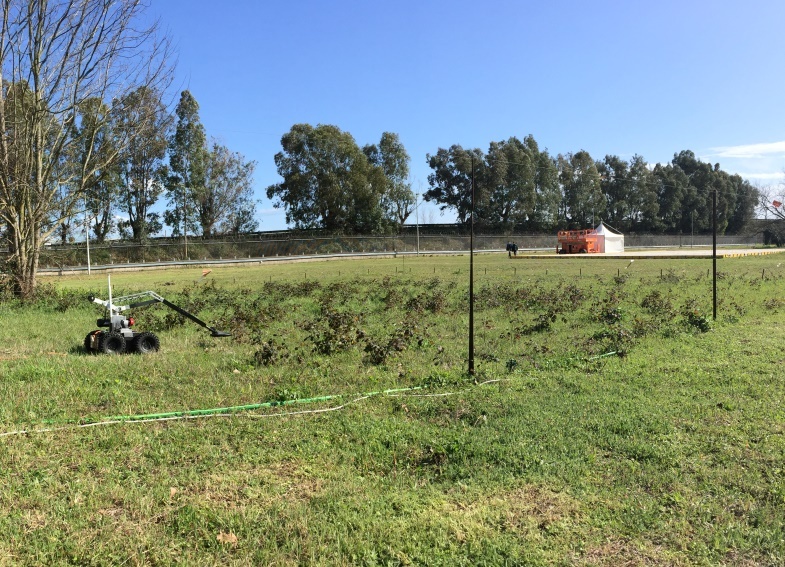 The main goal of this international event was to provide an overview of D-BOX tools for demining operations and the demining toolbox as used in the Land Release process. It was also an opportunity to use D-BOX tools and to discuss the broader perspectives and future implications of D-BOX. During this three-day event participants took part in the live demonstration and the workshop session focused on the use of the D-BOX toolbox and tools in a scenario of the demining operation. In the afternoon of Wednesday 2nd March D-BOX End-User Platform took part in the Table Top Exercise and Tool Training. Field demonstration of D-BOX developments. On the second day Thursday 3rd March invited guests were introduced to the project and its achievements. There was live demonstration organized and an participants had opportunity to use D-BOX tools and to discuss the broader perspectives and future implications of D-BOX. During the live demonstration Project Partners presented the use of the D-BOX Toolbox and the Tools: D-BOX for Planning (MineWiki), D-BOX for Operations, MATLAB/STK simulation of satellite image acquisition, Multispectral Classifier, Acousto-Ultrasonic Landmine Detector, Qmra-Tool, Demine-Database, D-Box Knowledge Base, Training Method for Mine Detection Dogs (MMD), Aide Mémoire For Deminers, Human Error Analysis – a handbook for deminers, Cultural Guidelines For Humanitarian Demining, GAUGE, 3D LiDAR and Thermal Camera, Biosensor Laser, ManMOd camera. The demonstration was a chance to learn more about the project final results and employ solutions forming Toolbox v2. On the third day Friday 4th March a workshop session focused on the usefulness of the presented solutions for the humanitarian demining activities was organized. During this part all the participants discussed presented solutions and their possible market uptake. The event was the second open opportunity to demonstrate in close to real environment the D-BOX project developments. Moreover, interested conference attendees had a unique chance to discuss project issues, exchange information and opinions face to face with the demining end-users, tool providers project partners and stakeholders. The event brought together a large group of the Demining Stakeholders. A number of Project Partners and Tool Providers representatives, and a significant group of end users from i.a Lebanon Mine Center, GICHD (Geneva International Centre for Humanitarian Demining), IOCTR, MKA*DEMING Ltd, BACTEC, DSTL, Lebaneese Army, UKTI DSO, Karenwood International Ltd, SiXLM gathered at the Finmeccanica (Selex-ES) premises.